GAYOT’s blind taste test includes eight brands of peanut butter listed in order from least appealing to best tasting. This is not an exhaustive list by any means, but we tried a solid selection of popular brands including organic options. It should also be noted that we only sampled creamy peanut butters since it’s more classic than crunchy. If you’re allergic to peanuts, you’ll need to pass on this list. But for the rest of us, peanut butter is an addictive snack that’s found in practically every pantry in America — 94 percent of American households to be exact. The flavor is enhanced by nostalgia, hearkening back to lazy afternoons with friends enjoying peanut butter and jelly sandwiches. 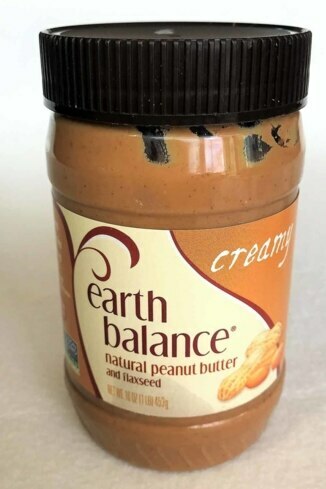 We recommend taking a close look at the nutrition label to avoid peanut butters containing hydrogenated oil and palm oil, they’re no good for the body or the environment even if they’re organic. The inventor of peanut butter is not one individual but three: Marcellus Gilmore Edson of Canada patented peanut paste in 1884; in 1895 Dr. John Harvey Kellogg patented a process for creating peanut butter from raw peanuts and it was marketed as a meat protein substitute; lastly in 1922, chemist Joseph Rosefield developed the partial-hydrogenation process for making smooth peanut butter that kept the oil from separating. Peanuts and peanut butter became an integral part of the Armed Forces rations in World War I and World War II. It is believed that the U.S. army popularized the peanut butter and jelly sandwich for sustenance. • The USA has had two Presidents elected who were peanut farmers: Thomas Jefferson and Jimmy Carter. • By law, any product labeled “peanut butter” in the United States must be at least 90 percent peanuts. It’s clear most Americans can’t resist the taste and texture of peanut butter, but in theory, none of us should be eating it. That’s because peanut butter is made with roasted peanuts and the best way to eat nuts in general is raw. When nuts are roasted, it releases oils that aren’t beneficial to our health. But with anything in life, it’s all about moderation. Food businessman Joseph Rosenfield invented the churning process to make smooth peanut butter which he used to develop Skippy in 1932. 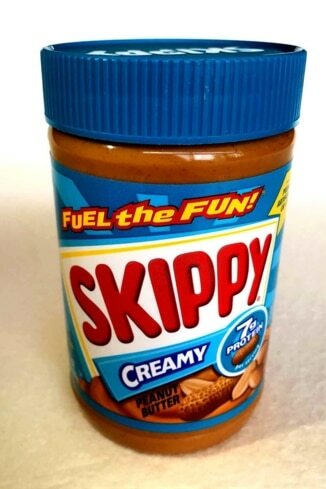 Skippy dominated the peanut butter scene in the US until 1980. It remains China’s best-selling peanut butter and is second to Jif worldwide. While we thought the texture was just right, the flavor was too artificial and overly saccharine for our taste. Despite its popularity we deemed it the least flavorful of the bunch. A vegan company’s take on this naturally vegan spread. In 1998, this vegan-friendly brand started selling their original, non-GMO buttery spread made with their expeller-pressed oils. 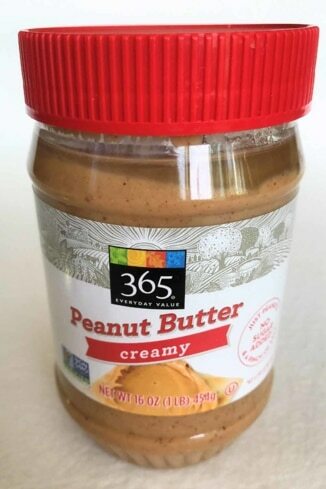 Despite its famed buttery spread, we found their take on PB to be dry, grainy and too removed from the flavor of peanut butter we’ve grown accustomed to. This sustainable brand is part of the Non-GMO project. SC Organic dates back to the early 1970s with “Mr. Natural” apple juice made from orchards found in the Santa Cruz Mountains and they’ve since expanded to making all-natural spreads. The name speaks for itself and while this certified organic brand contains no hydrogenated oils or artificial ingredients, we found the texture too oily and sticky. The flavor isn’t too sweet or overpowering but still rich. 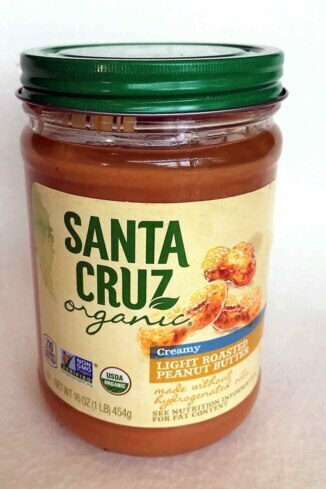 If you’re looking for an organic option, Santa Cruz Organic is a good choice but the texture may be off-putting. In true Whole Foods fashion, this peanut butter is made up of simple and natural ingredients. 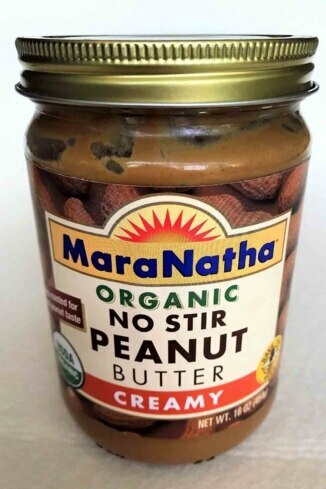 The popular high-end grocery store offers their own private label products including this all-natural peanut butter. This version does not include palm oil, a stabilizer that keeps the oil from separating. As such, even though we found the peanut butter to be too oily, we found the the nutty flavor quite palatable. Whole Foods 365 peanut butter is good for a classic PB&J, just make sure to give it a good stir first. The famous peanut butter beyond the chocolate cup. Their peanut butter cups make mouths water across the globe, so it makes sense to include Reese’s peanut butter on this list. The brand actually started on a Hershey — yes, that Hershey — dairy farm where Harry Burnett Reese used to work. Not surprisingly, we found the smooth, spreadable texture appealing. However, the flavor was so overwhelmingly salty we were tempted to chase it with chocolate to counteract the flavor. The brand is one of the first distributors of natural foods in the U.S.
What started out as a dried fruit distribution company in 1982 in Ashland, Oregon by a husband and wife team, Robert and Chris Plotnik expanded to nut butters. While we enjoyed the smooth texture of this peanut butter, the flavor was a bit bland for our palates. That said, the nutty notes are noticeable and would complement a good jelly or jam in a sandwich. This organic peanut butter contains only three ingredients, proving that less is more. 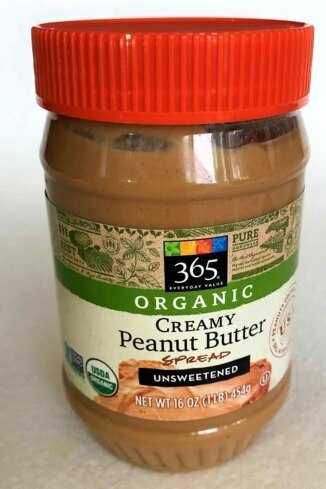 The organic version of the Whole Foods 365 brand is a tad salty with a slightly bitter aftertaste, but it has an overall good nutty flavor and it’s the best organic spread of the brands we tasted. America’s most popular peanut butter brand was founded in 1958. The recipe includes sugar and molasses for a more sweetened flavor and has likely contributed to its popularity through the years, although we wish they’d do away with the hydrogenated oil and mono/diglycerides. 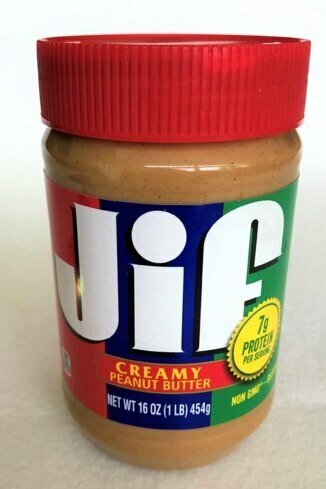 After all these years, can’t you keep it healthier, Jif? 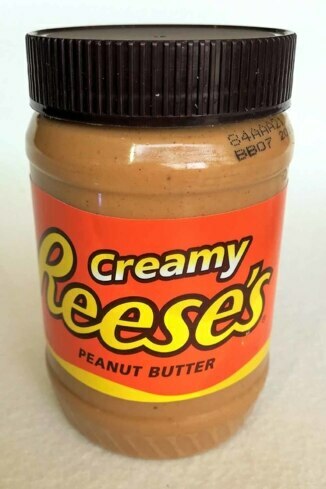 We enjoyed the classic flavor that we grew up with (it’s what we think peanut butter should taste like) and the creamy texture, even if it is a bit on the sticky side.